NASHVILLE, TN -- (MARKET WIRE) -- October 28, 2005 -- Michael R. Petracek, MD of the Saint Thomas Heart Institute at Saint Thomas Hospital in Nashville, TN, will perform a minimally invasive mitral valve replacement under direct vision through a right thoracotomy during a live webcast on December 7 at 4:00 pm CT.
Dr. Petracek's mitral technique is done without cross-clamp under cold fibrillation through a 2-inch incision. By eliminating ischemic time, Dr. Petracek is able to reduce post-surgical complications and patient recovery time. Dr. Michael Petracek will moderate the live presentation, review valve selection criteria, surgical considerations, and address real-time web audience questions during the hour-long program. Each year, over 120,000 Americans undergo valve replacement surgery. Newer 3rd generation tissue valves provide excellent hemodynamics and improved durability. Their flexible stent provides surgeons with safe and easy implantability. Finally, they allow patients to maintain the quality of life they have come to expect and to enjoy active lifestyles without the risks of anticoagulation therapy. Dr. Petracek is a member of the Saint Thomas Heart Institute. He received his Doctor of Medicine at Johns Hopkins University Medical School and completed his cardiothoracic training at Vanderbilt University Hospital. Saint Thomas Hospital is a member of Saint Thomas Health Services, a faith-based ministry with 10,000 associates serving Middle Tennessee. In the 2006 HealthGrades hospital quality ratings, Saint Thomas Hospital is ranked among the top five percent of all hospitals in the nation, and #1 in Tennessee, for overall cardiac services and heart surgery. Saint Thomas received five-star ratings for cardiac services, cardiac interventions, heart surgery and treatment of atrial fibrillation. Visit http://www.or-live.com/saintthomasheart/1452 now to view a program preview. A VNR is available at http://www.or-live.com/rams/med-1452-mkw-q.ram. 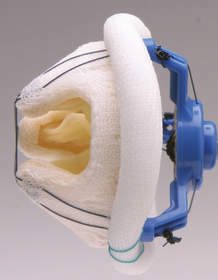 Each year, over 120,000 Americans undergo valve <br> replacement surgery. Newer 3rd generation tissue <br>valves provide excellent hemodynamics and <br>improved durability. Their flexible stent provides <br>surgeons with safe and easy implantability. <br>Finally, they allow patients to maintain the <br>quality of life they have come to expect and to <br>enjoy active lifestyles without the risks of <br>anticoagulation therapy.